Electric vehicles are no longer futuristic technology seen in sci-fi movies and television shows! Today, there are more than 20 models offered from more than a dozen different brands—in a range of sizes, styles, price points and powertrains to suit a wide range of consumers. The government wants to encourage people to turn to electric vehicles as not only a great way to save money but also to help to contribute towards a healthy and stable environment. As such the Government are currently offering an OLEV grant to install a charge point in your own home. The Electric Vehicle HomeCharge Scheme provides a grant of up to 75 per cent of the eligible costs of charge point installation (capped at £500, inc VAT) for the registered keeper, lessee or nominated primary user of a new or second-hand eligible electric vehicle on or after 1 April 2015 onwards, dependent on eligibility. For more information on eligibility please visit https://www.gov.uk/government/collections/government-grants-for-low-emis... .
Elec Cert are proud to announce that we are registered installers of the Rolec Wallpod EV:Home charge. 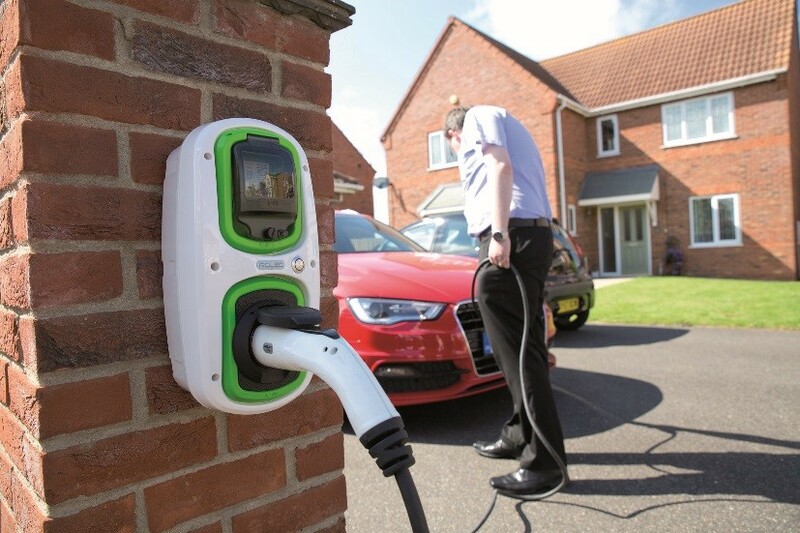 The WallPod: EV HomeCharge range is a low-cost, entry level home charging unit, designed to offer full Mode 3 fast charging to every Electric Vehicle (EV) on the market today and is available with either J1772 or IEC 62196 tethered cable, or IEC 62196 socket, versions. Please click on Wallpod EV HomeCharge information sheet in the drop down menu for a more detailed specification of the Homecharge point.